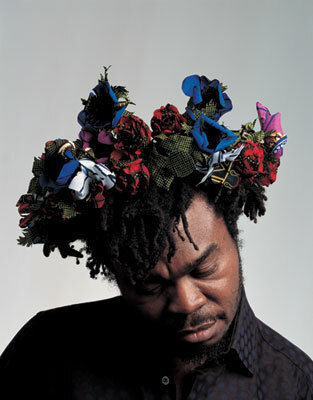 The Centre of African Studies is honoured to welcome the renowned artist Yinka Shonibare MBE RA to deliver our annual lecture, marking the 50th anniversary of the largest centre of expertise on Africa outside Africa. Over the past decade, Shonibare has become well known for his exploration of colonialism and post-colonialism within the contemporary context of globalisation. Shonibare’s work explores these issues, alongside those of race and class, through the media of painting, sculpture, photography and, more recently, film and performance. Using this wide range of media, Shonibare examines in particular the construction of identity and tangled interrelationship between Africa and Europe and their respective economic and political histories. Mixing Western art history and literature, he asks what constitutes our collective contemporary identity today. Having described himself as a ‘post-colonial’ hybrid, Shonibare questions the meaning of cultural and national definitions. Shonibare was a Turner prize nominee in 2004 and awarded the decoration of Member of the “Most Excellent Order of the British Empire”. He has added this title to his professional name. In 2013 he was elected Royal Academician by the Royal Academy of Arts. He was notably commissioned by Okwui Enwezor At Documenta 10 in 2002 to create his most recognised work ‘Gallantry and Criminal Conversation’ that launched him on an international stage. He has exhibited at the Venice Biennial and internationally at leading museums worldwide. In September 2008, his major mid-career survey commenced at the MCA Sydney and toured to the Brooklyn Museum, New York in June 2009 and the Museum of African Art at the Smithsonian Institution, Washington DC in October 2009 . In 2010, ‘Nelson’s Ship in a Bottle’ became his first public art commission on the Fourth Plinth in Trafalgar Square.